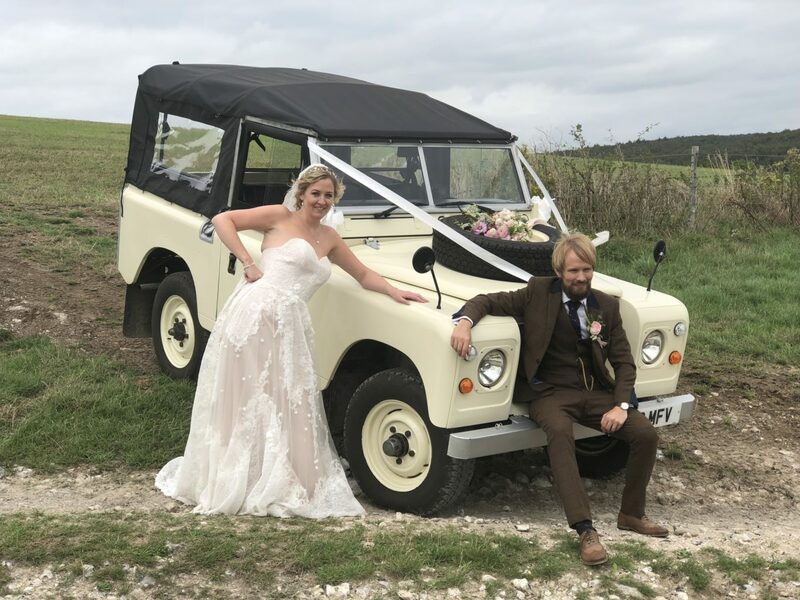 With years of experience serving Wedding Cars Chichester and the surrounding area for wedding car hire, we have developed a reputation for delivering excellence. Our range includes classic, modern and alternative wedding cars to suit your style. If you are interested in hiring a wedding car in Chichester look no further than Allenby Limousines. Our simple booking form will give us all the information we need to start the booking process. We are always available by phone on 07737428281 or email [email protected] or through our contact form if you have any more questions. Here is a beautiful example of one of our more alternative wedding cars in Chichester… the Series 3 Land Rover! Our wedding cars are the perfect fit for venues in Chichester such as Southend Barns.